Need a tow truck, roadside assistance or auto repair service? We are THE local towing service near Butte, MT and surrounding areas - Walkerville, Elk Park, Basin, Boulder, Homestake, Whitehall, Rocker, Ramsay, Anaconda, Deer Lodge, Divide, Dillon. ​No need to worry when the unexpected breakdown or flat tire happens. A quick call and we'll get you back on the road in record time. We have affordable towing and professional auto repair options. Don't be left without your transportation and don't let a breakdown ruin your day. One call is all you need to transport and get your vehicle repaired. 24/7 towing service open weekends and emergency roadside assistance. Get your tow truck cost and quote immediately. Lowest prices and reliable professional auto care options. Why Choose Butte Towing Service and Repair Shop? 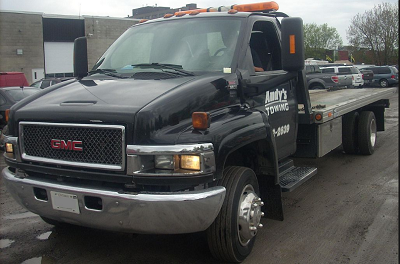 With years of experience, our professional tow truck drivers and mechanics are here to help our customers with the best and fastest service possible. We can help you in any circumstance in and around the Butte area. We believe that your time is precious and will come to your rescue as soon as possible. We also believe that your pocketbook is precious and try to offer our tow truck rates at the lowest price possible without gouging or exploiting your wallet. We care about the peace of mind of every customer! ​We offer professional communication and knowledgeable estimates and recommendations on auto repairs, auto body and/or other local service providers. Can also provide the answers to questions like, "How much does it cost to tow a car 100 miles?" or "Towing cost for 15 miles?". Also, "How much does a tow truck cost/charge per mile?" or simply, "Who to call to change a flat tire?" ​We may even may able to work out some free services or assistance for you, depending on the situation. Move your vehicle to the side of the road (if able) and to a safe location. Make sure your safety lights/hazards are on and visible to oncoming traffic. Only exit your vehicle AFTER it is safe and secure and away from traffic. Secure your valuable and needed belongings. Don't leave them unattended. Use any additional emergency equipment to notify traffic, e.g., flares, safety triangles, etc. If unavailable, raise your vehicle's hood to show there are car problems. If in an accident, call the police and gather any necessary insurance and contact information from other drivers. 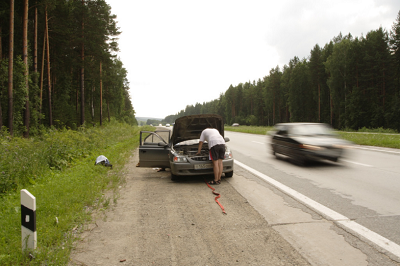 Contact us at 406-221-1859 for immediate roadside assistance and auto repair services. Tow truck estimates, quotes and prices available. Take any necessary pictures of the auto body damage for records or insurance. Stay with your vehicle, don't take rides from people you don't know. Clean up any debris or trash at the scene. Write down information gathered about auto repair shop and auto body shop. Remember to store emergency supplies and food in your vehicle at all times, in case of an unexpected emergency. We understand how frustrating breaking down or having an accident can be, but with the proper preparation and reliable body shop, your troubling situation will be a better and faster experience. Visit our friends in Canada for more safety information and great towing service tips. We take your unexpected emergency the same way as a fire station reacts when that fire alarm goes off - we take immediate action to provide the best 24 hour towing, roadside assistance and body shop service for our customers living in and traveling through the Butte MT area. Highway 50 in Nevada: 409 miles across this baron wasteland. Appropriately nicknamed "The Loneliest Road in America". ​Highway 491 in New Mexico: 194 miles across a northern section of New Mexico, stretching into Colorado and Utah. Was originally Hwy 666 and called the "Devil's Highway". Cursed and vandalized, the numbering was changed in 2003 to improve it's dire situation. Alaskan Highway, Alaska-Canadian Highway, or ALCAN Highway: 1387 miles originally created in 1942 as a military land path to and from Alaska. As some of the most remote and beautiful country every seen on the planet, this stretch of road can see very few vehicles at times and open or working gas stations can be scarce. Yungas Road in Bolivia: 75 miles of narrow, winding mountainous roads outside of La Paz with few guard rails along it's many steep cliffs. Has the nickname "Death Road" and has been declared "the world's most dangerous road". M40 Motorway in England: 89 miles of busy traffic connecting Birmingham with London. Rescue and emergency vehicles have a very hard time reaching stranding vehicles or accidents. Once there, the return trip often takes just as long. Lena Highway in Russia: 767 miles of dirt road out in the middle of nowhere in Siberia. Frozen in the winter makes for good driving, but during the thawed and wet seasons this road becomes a mud pit. Cerro de la Muerte: Highest section of the Pan-American Highway in Costa Rica that means "Mountain of Death". This mountain pass reaches over 11,000 feet. With something not designed for towing, e.g., motorcycle, small car, etc. In the back of a Uhaul. With a rope while the steering is locked. With the car not in neutral. 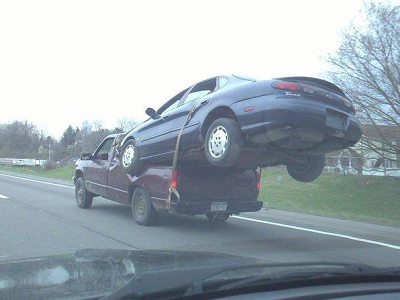 Using the bumper or other non-secure part of vehicle. Assuming a vehicle is ok to tow long distances by just putting it in neutral and still keeping all four wheels on the ground. Towing it by a human. ​There are many little things that make the difference between a normal, stress-free towing experience and one where everything seems to go wrong and get worse. Accidents and breakdowns are unpredictable and frustrating, but the fast and smooth way it is handled can be predicted with the right resources. With personally being prepared and then using a reliable and professional company and auto repair and auto body service with affordable prices, your roadside assistance will be but a faint memory as you quickly get back on the road and to your important destination. Trust and depend on Butte's best and cheapest tow truck service provider to make that happen. Ramsay, MT; Anaconda, MT; Deer Lodge, MT; Divide, MT; Dillon, MT. Traveling in MT? Check out WeGoPlaces.com for things to see and do.